dry eye. To understand the difference between these types, it is important to understand that our tears are not just water. In fact, there are three layers to the human tear film: a mucus layer that helps the tear adhere and spread over the ocular surface, an aqueous layer that provides the bulk of the liquid for the tear film, and an outer lipid layer that lubricates and protects the ocular surface. 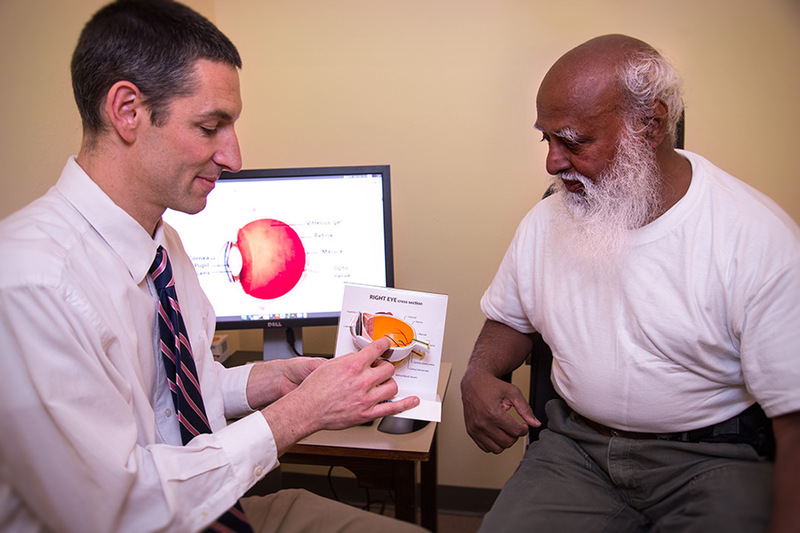 At Portland Eye Care, our dry eye treatment strategy involves fixing the root cause of the dry eye while providing additional therapy for comfort while the condition is resolving. In some cases, there may be underlying inflammation that must be treated with medication before your tear producing system will function correctly. In other cases glands that should be providing the lipid component of your tear film are blocked and need to be unclogged. Some cases only require appropriate dietary changes or supplementation for improvement to be realized. In other cases a special type of protective contact lens that forms a liquid-filled dome over the dry ocular surface is necessary. Whatever the cause, your dry eye treatment is tailored to your particular type of dry eye.